The majority of my creative time on the clock is spent as a non-fiction multimedia content producer, writer, editor and presenter. I'm an old-school honor grad so all those snowballs still get rolled down the hill by way of a freshly sharpened Ticonderoga #2 pencil on a journal page. My writing formats cover narrative voiceover, editorial, technical and expert opinion content for distribution across print, online and television mediums. My work provides opportunities for taking a hands-on role in many of the stories I share, while also capturing conversations with, and the work of, renowned experts and personalities from a variety of industries and backgrounds. In sharing the helm with my brother, Brooks Paxton, we draw on more than a half-century of combined entertainment business and outdoor industry experience to deliver on the visionary goals of our clients and collaborators. 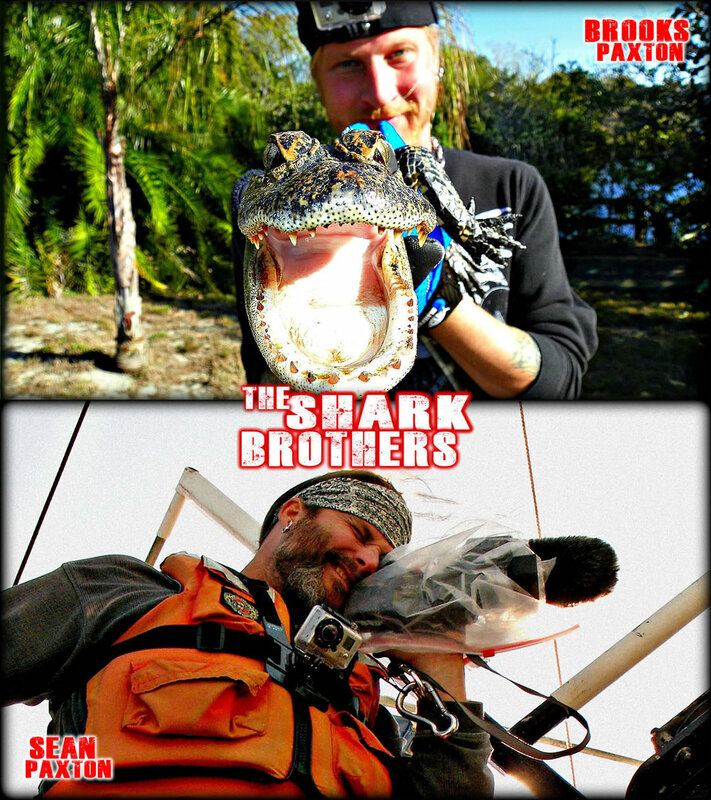 We were pegged by the media with our Shark Brothers nickname in the early 2000's, as the result of wildlife and documentary projects we were involved with at the time. The name was pretty sticky so after enough years gone by, we surrendered and stuck with it. It ended up being a pretty good fit with our motto, "Dedicated to the Exploration of Wild Ideas". Our production services cover the demands of initial conceptualization through to logistical planning and final content delivery. Formats range from short-form commercial promotion and cause marketing spots to full-length series and documentaries. Since we're just as comfortable producing in controlled environments, as we are from the extremes of underwater marine or remote terrestrial locations, we often find ourselves serving in dual roles as expedition team members. Complex or basic live broadcasts are included in our range of expertise, along with large-scale live public event production. Keynote and other custom presentations for corporate, education, private or public events provide an opportunity to share our work in relateable ways designed to inform, inspire and motivate audiences of all ages on a variety of topics. Guest expert appearances for news, talk shows and panel discussions can be arranged upon request. Please enjoy this reel and sample selection as additional media is being prepared and added - Thank You. STAY TUNED FOR MORE AND STAY IN TOUCH! 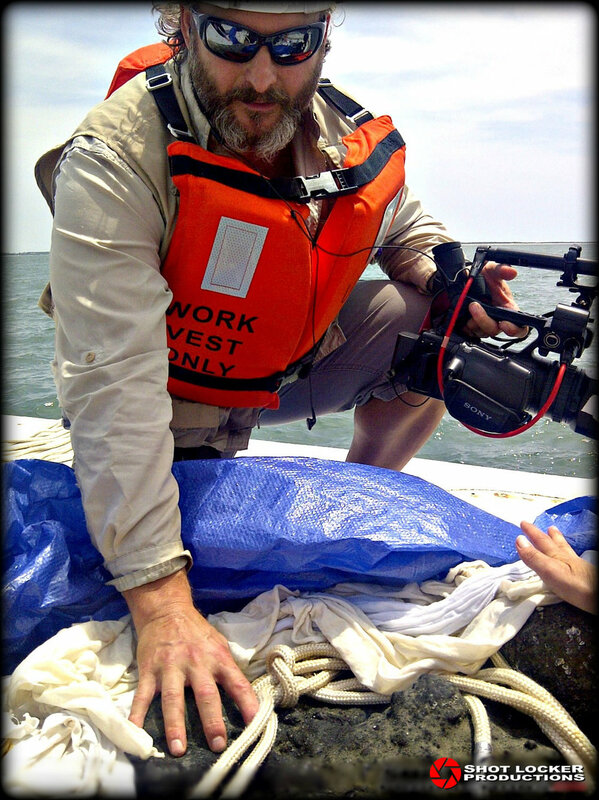 On location capturing and tagging sharks for Discovery Channel content.